Tonduff wasn’t living up to its dark name last weekend. It was dazzling white under a cloak of hoarfrost and could more aptly have been called Tonbawn or Tonbane. It’s no easy task to determine a grid reference for the summit point on this broad, flat top. 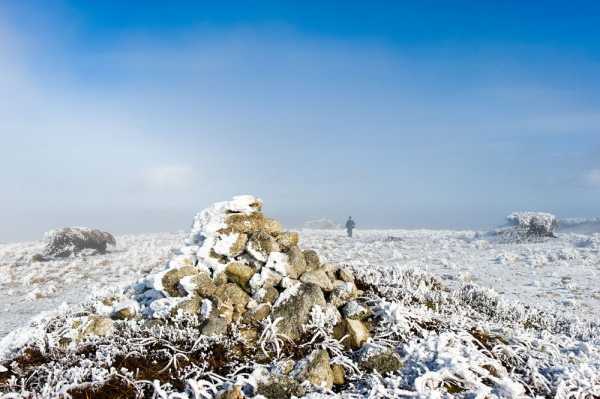 Several peat hags are crowned with cairns and all could equally claim the honour. My own vote, for what it’s worth, goes to O 1594 1368 A (see photo).